Club Christ focuses on empowering urban youth to transform their communities for Christ. Through a combination of community-based educational programs, they send a second shift of educators to teach and mentor urban youth. 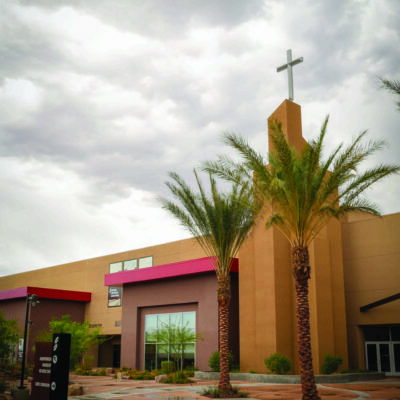 They know how to meet the needs facing the youth of Las Vegas because for the past 12 years Club Christ’s tutoring and mentoring programs have delivered. Their students typically see up to two times more growth in their reading scores than their peers, thanks to their innovative assessment and personal learning plans. Each child also develops a robust Biblical worldview with the help of fun and engaging Bible lessons. When students attend Club Christ, they get the best in teaching and mentoring— right where they live. Uniquely based out of apartment complexes, programs are accessible to at-risk youth to help them stay engaged academically and achieve their dreams of attending college. How: Whether you describe yourself as a student, parent, professional or retiree, there is a place for you to volunteer at Club Christ. Volunteers give just an hour and half a week to mentor a student through tutoring, Bible Study, and enrichment opportunities. Get involved helping an elementary student with homework or a teen with leadership development.